On your wedding day, as you and your spouse stood in front of your friends and family and promised to love and cherish each other forever, you probably weren’t thinking about fighting. But anyone who’s been married more than a week knows that fights will happen, and the majority of them will be about money. Money fights may be inevitable, but they don’t have to be destructive to your marriage. The key to managing money disagreements is to find solutions that work for both of your Money Personalities. These three tips will help you solve money arguments constructively and keep your relationship on track. When you think about infidelity in marriage, you’re not usually thinking about money, but financial infidelity is a real thing. 65% of women and 35% of men admit to having a secret account or credit cards. The cause of this deception can usually be linked to an imbalance of power in the financial decisions. If one spouse controls the purse strings, the other person might feel the need to hide or hoard money. One client we worked with had $12,000 stashed in her bra drawer! Obviously, this kind of deception and dishonesty is harmful to a marriage. Good relationships are built on a foundation of trust. That’s why it’s so important to have open, honest conversations about money and create a financial road map that honors the Money Personality traits of both people. Recognizing and respecting those differences reduces the threat of financial infidelity. Most money disagreements stem from the couple’s different money personalities. You’ve heard the old adage, “opposites attract?” Well, it’s true when it comes to Money Personalities as well. Since we often marry our Money Personality opposite, understanding and embracing these differences can stave off arguments and strengthen our relationships. You should start by taking our free Money Personality Assessment. You’ll discover your primary and secondary spending traits and have a clearer picture of your attitudes towards money. Are you a Spender/Risk Taker like me? Perhaps you’ll find that you’re a Spender/Security Seeker like Scott. Once you’ve determined your Money Personality, it’s your spouse’s turn! Knowing your spending and saving traits allows you to create a financial plan that works for both of your Money Personalities, and you can begin to learn and grow from one another. My Spender/Risk Taker Money Personality means that I love to spend money, and I’m always up for trying new things. But Scott’s Security Seeker trait makes him much more cautious. Knowing this has helped us grow closer and stronger over the years. Scott has become more willing to take risks and try something new, while I’ve learned to slow down and take a hard look at opportunities to assess if they’re really a good use of our resources. Recognizing our differences and learning to compromise has made our relationship much stronger. 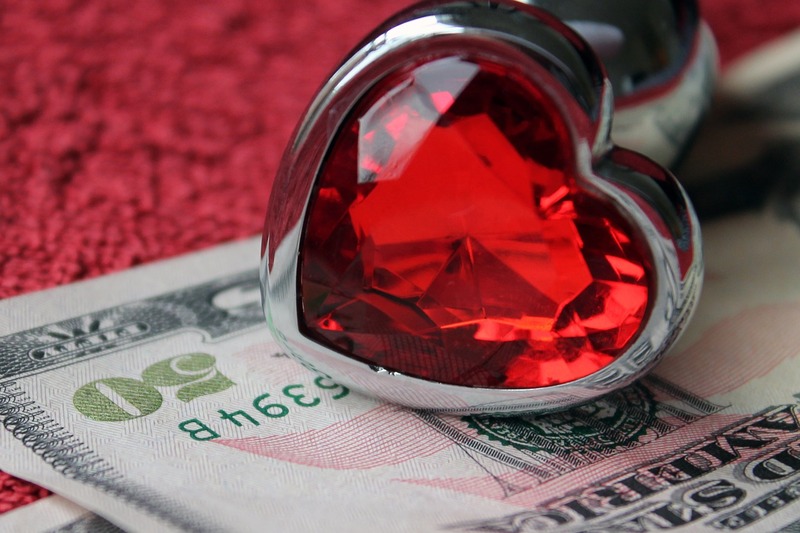 Understanding your Money Personalities isn’t just important for spouses. You should absolutely learn about your kids’ Money Personalities as well. As you prepare them to manage their own finances, you’ll be able to teach them in a way that will resonate with their personal money traits and tendencies. Our son isn’t really a natural Saver, so we had to reframe the way we taught him about saving money for the future. Instead of creating a savings account for a car, we encouraged him to create a “future spending account.” We knew that appealing to his Spender Money Personality would make it far easier and more rewarding for him to set aside money for the things he knew he would get to buy in the future. And it worked! He recently bought his first car in cash, all by himself, and we could not be prouder! Following these tips will help your family create financial plans that work for all your different money personalities. It doesn’t mean that you’ll never, ever disagree about money again, but it will keep those disagreements brief and prevent full-on financial warfare! Check out our Love & Money resources at themoneycouple.com/relationship.